Oil prices are climbing up from a deep price recession that began in November 2014. Even with more fuel-efficient aircraft, something has to give. Will the cheap fares go first, or the carriers offering them? In March of 2016, a barrel of oil was just $29.78. There are 42 gallons in a barrel of oil so while the price at the pump didn’t dip to $.71/gallon (due to taxes, transportation, etc.) mass consumers like airlines were able to discount their retail prices dramatically. The drop from an average of $100/bbl+ in the previous years was steep, the price in November of 2014 averaged more than $90/bbl and fell to less than half that before New Years 2015. Cheap airfares became the norm and were mostly possible due to cheap commodity prices. At the last oil price dip, Southwest had hedged on a massive scale and while the competition was paying the wholesale rate for fuel against $100+ bbl of oil, Southwest was hedged closer to $50. It’s no secret that Southwest was well positioned due to their hedging and became the fourth largest carrier in the country (after mergers and consolidation) on the back of this bold move. Now that most carriers have normalized and hedge less, the playing field is level. Cathay Pacific was burned badly by hedging at $100/bbl prices, paying higher rates than their competition well into the future. As a result of skyrocketing fuel costs, airlines and manufacturers made adjustments to fuel-efficiency and deployed cost-saving measures. One such adjustment was the now pervasive winglets that add fuel efficiency of 4-6% depending on the equipment type. Today, finding an aircraft without winglets or an integrated swept wing (like the 787) is harder work than finding those with winglets. Boeing has resurrected their original model for folding wingtips to extend the wing while utilizing the same gate space for their new 777X models. New aircraft like the B787 and A350 which are able to deliver 15-20% fuel savings over previously deployed aircraft used greater fuel efficiency as a sales tool to move new products. Most of this savings is down to more efficient engine design that even extends to the cowling, distinctive with its sharp ridge cutouts. The nose new planes have a new shape on both of the aforementioned models and also the new Embraer E-line (170, 175, 190, 195). Record profits for the airlines and continued profitability is partly due to lower fuel costs but also the result of the other adjustments made to the fleet. Expedited replacement of older aircraft with newer more fuel-efficient models has been helpful. When winglets, engine efficiency, and other changes were made, it was prior to all-time low fuel prices. Call it a happy accident for the carriers that they made such changes and their fuel costs plummeted. Airlines could afford to offer cheap flights, pack planes and still remain profitable. When the market dropped from its peak in 2014, around 220 highly fuel-efficient 787s had been delivered, today that number stands at 648 with 14 more every month (168/year). The Airbus A350 had delivered a single example in 2014 but since then have put 167 in service with a production rate of just 6.25/month (pacing this year for 75 down from 78 last year). Without trending that forward for production through the rest of the year, if we assume that just half of those new frames replaced older aircraft then more than 300 less fuel-efficient aircraft are now running 15-20% leaner than before. That keeps costs low, especially on some of the longest routes in the world (Newark-Singapore will be an A350, Perth-London is a 787). Embraer’s dominance of the US regional market, the busiest air market in the world, has also retired gas-guzzling equipment like the Canadair regional fleet (CRJ 100/200/700/900). In some places adjustments to schedules have also allowed 737s to be replaced by EMB 195s using those 737s on routes where the even less efficient MD-80/83/90 were in service or even 757s. It also doesn’t hurt that the world’s largest air transport market is the US and the economy is firing on all cylinders right now. The gentle march from less than $30/bbl to where it stands today (nearly $80/bbl internationally and slightly less in the US) has taken far longer to recover than it did to drop. More than 26 months after the market low, the price per barrel has slowly risen within striking distance of where it was before the decline (around $90). At the current pace, it will take approximately 48 months from the original decline to return (looking at trends with the help of a crystal ball) to the $90/bbl high mark. In previous cycles, the oil and gas market fell slower and recovered faster. But on the heels of the worst oil and gas recession in 40 years, it makes sense that the recovery would take longer than normal. The market is cyclical in its 140-year history, every 5-7 years the market is boom to bust. This period may be an exception. Efficiency gains in overall fleets may have insulated the industry from increasing fares. On the whole, there has never been a cheaper time to fly. Ever. Anecdotally, I recall my parents paying $450 for a flight from Omaha, Nebraska to Orange County, California 22 years ago – an average price for the city pairs at the time. Today the prices are 21% cheaper nominally ($356 on a recent search on United, the same carrier flown then) but after inflation adjustments, prices are down just over 50% vs the price of $718 in 2018 USD. The trans-Atlantic market remains a mixed bag of normal prices (summer coach fares from second/third tier US cities), very high rates (first class rates are higher than normal due to reduced options for the cabin) and the lowest ever recorded per mile flown (WOW, Level, Norwegian, WestJet) for a far reduced service option. How do you cook a frog? You boil him by putting him first in a pot of tepid water and slowly turning up the heat. If it’s boiling to start with, the frog will jump out of the pot. So how does this otherwise benign metaphor apply? One of two ways in my opinion. The first is that consumers are the frog as fares rise slowly with oil prices and the second is that it is the airlines that get cooked. Before the price collapse, market fundamentals were out of line with pricing – there was nothing supporting $90 oil in November of 2014. Now, however, there is good fundamental support for those prices pushing higher. Stockpiles have fallen with a controlled resumption of drilling activities. OPEC, led by the Saudis, have been cautious in their approach to putting supply on the market and global surpluses have dwindled. In essence, there is a justified reason that prices are higher. But we may be seeing the last days of historically cheap flights until the next cyclical oil downturn. Fares have not materially risen since the lowest price levels of the bottom of the oil market but fuel costs are now 250% higher and trending upward. How long can prices stay this low? According to the market, a little while longer. WOW Air is celebrating their birthday with 30% off their already low prices. WestJet just announced a 50 Euro roundtrip fare from Halifax and St. John’s, Canada. Cathay Pacific just had an unreal $347 roundtrip price on their SFO-Hong Kong nonstop. When considering only direct fuel-efficiency savings (pretending that all flights are on highly fuel-efficient aircraft and were previously flown on poor fuel efficiency aircraft) 15-20% won’t be enough to offset these kinds of discounts. Rates for the trans-Atlantic market is less than half of what they were before the downturn. Then, airlines were not as profitable as they are today and there is more competition in virtually every market further driving prices down. Which leads me to my next conclusion. Passengers are not the frogs, the airlines are. Even as slowly as the price of oil has risen, airlines have further extended their exposure by doubling down on cheap seats. It seems like there will be a day of reckoning… and it’s coming soon for airlines that have been over-exuberant. 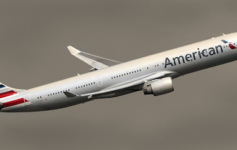 Carriers like American, United, and Delta have stripped away all full-service benefits to reduce their overall price differential from ULCCs Spirit, Allegiant and Frontier. They’ve eroded their product to be price competitive but lost their competitive advantage in their product. Thus, they won’t be able to compete when fuel prices force the cost of fares upward. Why? Because they are big, lumbering carriers with contract union labor, older equipment than their ULCC peers, and heavy infrastructure costs. Some of those carriers may compete their way to yet another bankruptcy while others will realize that the water is boiling too late and try to leap out, failing in one way or another. The only question is when the water starts to boil, who will be the frog, cheap fares or airlines? Previous Article With Whom Is Frontier Airlines Competing? definitely the airlines. other than sitting on certain high demand assets, the airline industry is one where there’s always someone with fantasy visions come in to replace any seats that the major players attempt to rationalize, while a seniority-based wage system is bound to rise to painfully levels because growth is always finite. and the militant unions also make it hard for the airlines to actually bank any cash into a rainy day fund because every extra bit of margin gain even during the best of times will be demanded by the unions to permanently increase the wage structure. Just to illustrate my point of why airlines is hard to make money at all, IATA forecasts that in 2018, when major economies are at their peak economic cycles, the global airline industry (hundreds of airlines at the very least) combined is projected to have $38.4 billion net profit. if that sounds like a lot, AAPL alone made $48.35 B net income for their fiscal year ending 9/30/17. case in point : AA, even with a lock on the Hollywood market and the only 3-class F product among US3, yields lower at LAX than UA at SFO, simply due to the competitive landscape reality that there are 5 airlines in the 9-19% market share range. LAX landscape is getting so bad that even AA yields higher at JFK than at LAX.